Daraz announces Daraz Shopping League, discounts of up to 55% on televisions, audio and video appliances and 45% on phones and accessories. Pakistan’s leading e-commerce company has launched the Daraz Shopping League, in partnership with Peshawar Zalmi, from the 8th to the 14th of February. Co-sponsored by Haier and TCL, the Daraz Shopping League is the perfect opportunity for all cricket fanatics to get their hands on the best experience of the Pakistan Super League. 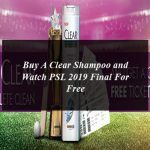 Furthermore, Daraz is offering a chance to win 2 tickets to the PSL final in National Stadium, Karachi on shopping worth more than Rs. 50,000. This partnership aims to enrich the PSL experience of every single cricket-lover in the country. 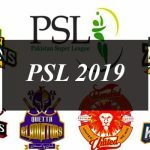 With discounts of up to 55% on TV, Audio and Video, the e-commerce platform is making sure that you never miss any of the excitement of the PSL. Daraz is offering discounts of up to 45% on Mobile Phones and Accessories. As Pakistan’s leading e-commerce portal and the official merchandising partner for the Peshawar Zalmi for PSL 2019, Daraz is selling exclusive Zalmi merchandise and Zalmi Membership Cards that offer the holder perks and benefits not available anywhere else. 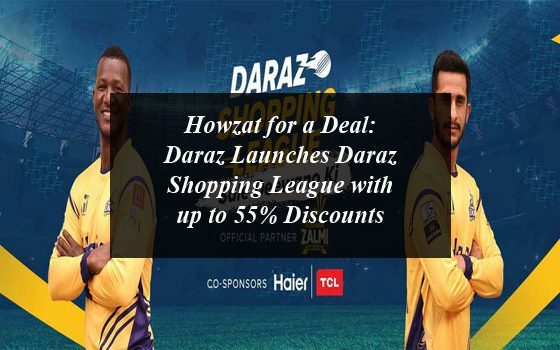 Howzat for a Deal: Daraz Launches Daraz Shopping League with up to 55% Discounts . Daraz announces Daraz Shopping League, discounts of up to 55% on televisions, audio and video appliances and 45% on phones and accessories.